South African author Angela Makholwa is set to co-feature at the final Goethe-Institut Nairobi’s Artistic Encounters on November 9th, 2017 with singer and actress Patricia Kihoro. The Artist Encounters is a project run by Goethe-Institut Nairobi curated by Zukiswa Wanner. The project involves artists of different genres having their arts communicating. There have been three events in this series already which have been warmly welcomed by audiences in the capital of the East African country. It kicked off with Nigerian artist and writer Victor Ehikhamenor collaborating with South African poet Koleka Putuma in February. That event was very well received by the Nairobi lovers of art and poetry. This was followed by South African German poet Philipp Khabo Koepsell collaborating with trumpeter Christine Kamau in April. In June there was a full house as Lola Shoneyin and Maimouna Jallow rocked the Goethe with a showcase of storytelling around The Secret Lives of Baba Segi’s Wives. The latest event in the series sees South African author Angela Makholwa’s new book The Blessed Girl being brought to life on stage by one of Kenya’s most respected young artists Patricia Kihoro. Regular readers of this blog will know that this blogger is a huge fan of the South African author. The obsession begun in 2012 when her second novel The Thirtieth Candle kept me imprisoned on a beach in Seychelles with her delicious prose. Angela appeared on the South African literary scene in 2007 with her novel Red Ink which was fictionised around a famous serial killer in the Southern African nation. This novel made the Johannesburg native the first black South African woman to write crime fiction. She followed this up with The Thirtieth Candle before returning to her crime roots with her third novel The Black Widow Society. This was our review of that book. The book will be brought to life by singer, songwriter, actress, radio and reality television personality Patricia Kihoro. 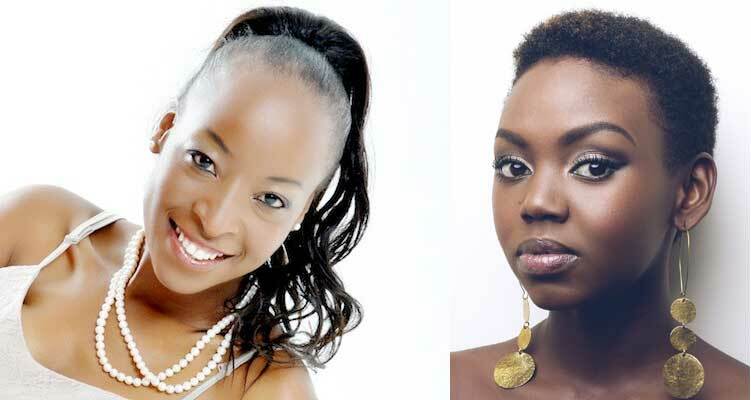 Kihoro first appeared on our TV screens during Tusker Project Fame, where she became one of the finalists. In acting, she has appeared in a number of local productions like the 2011 film, Miss Nobody, which resulted in her nomination for the 2012 Kalasha Awards for best lead actress. In television production, she has been cast as a lead in Groove Theory, a musical drama and is a regular in Demigods, Changes, Rush and Makutano Junction. As a radio presenter, she has worked with One FM and Homeboyz FM. If the turnout from previous Artist Encounter events is any indicator, then next Thursday is going to be lit. See you there. Pingback: Sitawa Namwalie, Shan Bartley, Yewande Omotoso rock final Artistic Encounters.